Most people are habitual of maintaining a personal diary. It is a simple activity that has been around for ages. It is a great way to express yourself and record what you think, what you want, what you have done or what you have achieved. There are so many reasons that enable a person to keep a diary. May be you are more practical and want a way to harness your creativity, or may be you want to leave something behind for your children that tells your story. Whatever the reason is, maintaining a diary is always beneficial that will genuinely improve your life. A decade ago, people used to write in a notebook with a lock on it so nobody else can access it. Most people also kept that notebook in a locked drawer or box to maintain its privacy, but with the advent of technology this whole scenario has now changed. We have moved into a digital era where we all are surrounded by millions of apps or online services. Today, if you desire to have a personal diary on the web that no one else could access it except you then we are proud to say that yes it is possible. There are plenty of online diary apps or online diary websites on the internet that offer free where you can write and keep your own private diary free. The first and foremost benefit of this online diary or online app is their privacy. These services are password protected that allow you to have a complete peace of mind knowing that your thoughts are safe and protected. Flexibility: It is simply impossible and a silly thing to carry a diary with you all the time. But, by installing a diary app or by availing the online diary service you can access your diary anytime and from anywhere you want. All you need is a computer system and an internet connection. It can save your money: Most websites facilitate free service so you don’t have to spend your single penny on purchasing notebooks, journals or diaries. You can write as much as you want there is no limit. Even most services are multimedia supported, which means you can add images, graphics and you can even share these things with your contacts whom you want to read this. Security: Nobody wants to share it’s personal thoughts. There are so many ways that can make you feel concerned about your private stuff such as, if things gets misplaced or lost. Obviously you have expressed so many valuable things in your diary and don’t afford that something can damage or destroy this precious memorable. Online diary or diary apps are specifically designed by considering these factors. These services are secure and password protected. So you can rest assured knowing that your thoughts are safe and no one can stumble onto them. It is more simple and easy way: Everyone knows how to write a diary, and how to use the internet. So, changing over to online diary service is quite easy and simple. It even makes complex task easier and allow you to access it at your fingertips. WriteDiary: WriteDiary is one of the leading online diary website that focuses on privacy, simplicity, availability and the easiness of writing. All of your information and thoughts are secure and invisible from third party access unless you specifically share them with individuals. You can further improve the protecting by adding a password. It is very stylish and modern. Their service is also accessible on smartphone by downloading the Diary app – with lock (Available on Google Play Store). It is extremely easy to use and user friendly. With a lot more features, it provides you an easy to use platform where you can write and maintain your thoughts. Apart from text or notes, you can add different fascinating backgrounds. It looks good all devices and you can easily use it from your phone, tablet or laptop. So, why are you waiting for..! Just create your account on writediary.com or simply download the Diary with lock app and start maintaining your very own personal diary today..
Keeping a diary makes you feel happier..! Writing about your thoughts, feelings is somehow associated with our emotions. It helps the brain to overcome the anxiety, stress or negative energy that makes a person feel upset. 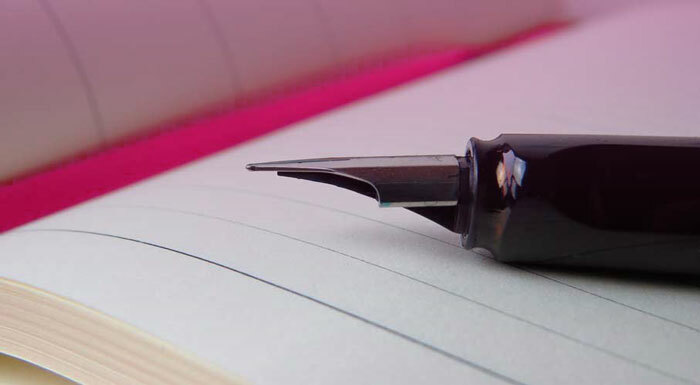 Several studies and researches revealed that journaling provides unexpected health benefits. Or in other words, writing enable a person to better understand his own personality by removing the mental blocks. A daily habit of writing will empower you to know what makes you feel happy and confident. Writing about sadness, anger and other painful emotions helps you to release the intensity of these feelings. By jotting down your thoughts, you feel calm and better be able to stay in present. Apart from all these wonderful perks, keeping a diary allows you to track improvements, patterns, trends and growth over time. We know your time is valuable, but the thing which makes you feel happier is worthwhile. So, just try to write your few thoughts daily and years after when you read it, you won’t regret it. Happy writing..! We recommend you to try "Diary with lock" for Android. It's very basic diary app, but it does the job! Or, Signup for your free online diary account.